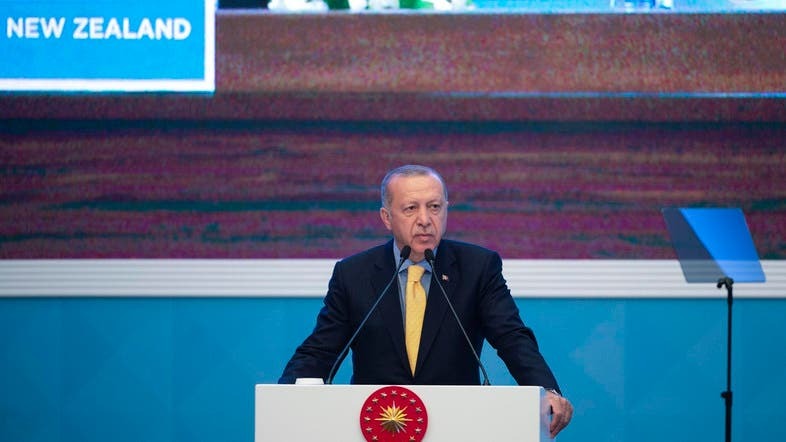 Turkish President Recep Tayyip Erdogan replayed graphic footage of New Zealand’s worst mass shooting at an election rally on Friday – just hours after that country’s foreign minister met him and said he believed the controversial showings had stopped. New Zealand Foreign Minister Winston Peters arrived in Istanbul on Friday to talk to Erdogan about the footage and comments he has made on the shooting of 50 people at mosques in Christchurch a week ago, which have drawn condemnation from New Zealand and Australia. But Peters emerged from a brief meeting with Erdogan and struck a conciliatory tone, saying that he had not raised at the meeting some of the most controversial comments the Turkish leader has made at rallies. He also said that he had not asked Erdogan to stop showing the videos. “I did not ask that question because I felt that I did not have to ask it, because they are not doing that anymore,” Peters told reporters after attending a meeting of the Organization of Islamic Cooperation (OIC). Two hours later, however, Erdogan paused his speech at an election rally in the central province of Konya so that the audience could watch the video footage of the shootings that the alleged gunman had broadcasted on Facebook on March 15. The video, which governments and social media sites have attempted to take down since the incident, was blurred but the gunshots were heard. Erdogan is seeking to drum up support for his AK Party in the March 31 local elections. He has shown different versions of the video about a dozen times throughout the week, including on Thursday. “The New Zealand deputy Prime Minister came with a delegation and we had a chance to talk before coming here. We discussed and agreed upon what we should do,” Erdogan told supporters in Konya without elaborating. The massacre in New Zealand was carried out by a lone gunman at two mosques. Australian Brenton Tarrant, 28, a suspected white supremacist, has been charged with one murder following the attack and is likely to face more charges. In rallies across Turkey, Erdogan has since called on New Zealand to restore the death penalty and said Turkey would make the suspected attacker pay if that country did not. Referring to a “manifesto” posted online by the attacker, he said Turkey will return “in coffins” anyone who tried to take the battle to Istanbul. Peters told reporters he had not addressed these comments with Erdogan because he did not think it would serve a “long-term peaceful purpose,” adding that he had received assurances regarding the safety of New Zealanders visiting Turkey. In an address to leaders of Muslim countries attending the OIC meeting, including Iranian foreign minister Mohammad Javad Zarif and Saudi Arabia’s ambassador to Turkey, Peters defended New Zealand’s response to the shooting and said the perpetrator would spend his life in prison. “This person will face the full force of New Zealand law, and will spend the rest of his life in isolation in a New Zealand prison,” Peters said, adding later that “misinterpretations” in the days following the shooting had been cleared up following his meeting with Erdogan and the OIC. Earlier on Friday, Ardern said Peters had gone to Turkey to “set the record straight” amid the diplomatic row. No other heads of state or government attended the gathering of the OIC, which groups together Muslim countries to protect the interests of the Muslim world. It met on Friday to discuss Islamophobia and the New Zealand shooting. Relations have generally been good between Turkey, New Zealand and Australia, with thousands traveling to Turkey each year to commemorate soldiers in the ANZAC army corps who died at Gallipoli just over a century ago. “We are returning home to New Zealand with a grateful assurance that our people who come here to commemorate ANZAC will be as welcome as they always were,” Peters said.